If your life is anything like me, you’re probably trying to find your keys and get to the next desitation while avoiding the drive thru lane at Mc’D’s! So here are a few ways to organize your snack bin and lunch bin in your fridge! 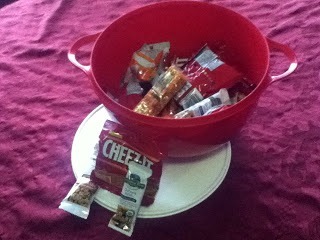 My Tupperware bowl, you can add raisins, pretzels, wholewheat crackers, oreos, etc in snack bags too! Each time I go to the grocery store, I purchase a variety of healthy snacks and some not so healthy snacks. When I get home, I put the serving into snack bags and throw it all into the bowl. It sits in the bottom of my pantry where they can grab a snackwhen they want. This also goes the same for my refrigerator. I have apples, cuties, whole and some in baggies with a little bit of lemon juice,sitting in my crisper drawer. This idea is great to not only help give them independence, teach proper portions, but it’s great when you’re in the run to the next dance recital or park. Just grab a few bags and go! 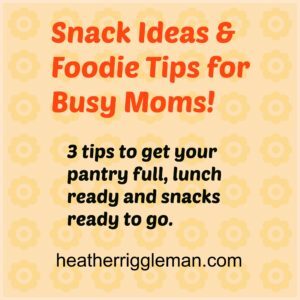 Lunch time is another area where we tend to get stuck in a rut, either we think our kids won’teat it, or we are tired of the choices we have. So make the choices you have fun and visit one of my favorite sites that my friend Stacy directed me to, www.superhealthykids.com. Here is what I do for lunch because my kids like it simple. Elijah’s green tray with snowman turkey, star whole wheat bread and string cheese. Fun lunch with snowman and start cookie cutters, the kids can help create the shapes. Okay I had to add the pink tray picture, per Tori’s request, She didn’t think it was fair to upload just her brother’s! For those of you who have baseball and dance right after school, consider making sammy’s or Lettuce Wraps ahead of time. Lettuce Wraps are super easy to prep, pack and eat on the road as long as you have a cooler with you. We love to make these for off-roading trips as well as lunches for camping trips. Simply purchase the items your family eats and leave out the condiements (except for the PB & J’s). Build your sammys and then wrap in indivudal portions. 1. Purchase snacks and snack baggies. 2. Read the labels of your snacks and scoop the measured portion into baggies. 3. For fresh fruit, make a few bags ahead of time, wash and slice, add a squeeze of lemon juice. 4. Designate an area in your pantry for your kids and a drawer in your fridge. 5. Purchase supplies to make your own sandwiches. I usually make my own french bread, then add the things my kids like in between bread. Next slice it into small sandwiches and wrap it up with syran wrap. Whenever you or your kids are hungry or on the run, you have a bin full of heathy sandwiches and snacks! 5. Less whining and hearing “I’m hungry” from your child, and they are learning the proper portions! Have you heard the term, “Stinkin’ thinkin'”? It makes me giggle along with my kids. It rhymes, it’s catchy. It reminds me every time I hear it or think it, that I need to take my thoughts captive. Maybe you do too, which is why I wanted to share with you. Do you struggle to take control of your thoughts? I know I do. 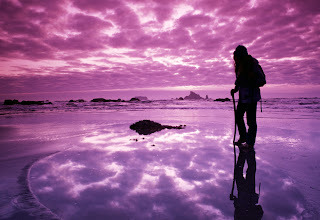 Very recently, after a misunderstanding, old wounds were reopened and all I could do was dwell on the injustice I felt. What I didn’t realize was how it colored everything. Because my thoughts were dwelling on this incident, it painted how I thought of my kids, my work, and myself. Tell me what you thought of the last example? 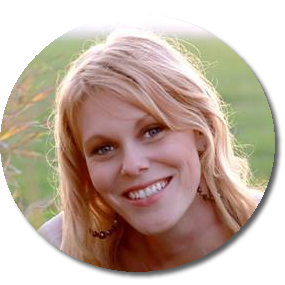 Have you ever noticed that if you’re in a stinky mood, it permeates and spills over onto everything that is happening in your life? Did you ever stop to notice how hard it is not have stinky thoughts? They just keep rolling in like tidal waves in a storm. Things keep getting worse and worse with no end in sight. Thankfully I have a few tips that I’ve picked up along the way that I can share with you that I’ve learned from friends and because I’ve encountered situations like the examples of above. Music affects our moods, it has the ability to lighten our moods and lower our blood pressure. I love listening to my favorite radio stations. My Bridge Radio can be played on your computer or via radio. They now offer the lyrics to the songs they broadcast, which is awesome if you’re a wordy chick like me. K-LOVE is another favorite I use online. Of course you can always use your IPod and create a playlist of songs that are uplifting and remind you of who really is in charge of your life and your mind. Of course, we can’t listen to music all of the time, but you do carry a purse don’t you? Get some note cards or sticky notes, write out specific verses that empower you, knowing God is in control. ...And the peace of God…will guard your hearts and your minds in Christ Jesus.” Philippians 4:6-7. Find Scriptures that speak to your heart, stick them in your purse, on your mirror, in your car, on your treadmill. If you’re a busy mama which I imagine you are, there are other ways to stay in God’s word and let His Words strengthen your heart and clear your mind of stinky thoughts. I just discovered YouVersion for editing purposes but found they have apps for your latest gadget. It’s a great way to stay in God’s word or you can listen to it at night as you’re falling asleep. Taking our thoughts captivated can be a tenaciousness process, unless we discipline ourselves to be grounded in God’s Word. I’ve found over time, that my kids are better thinkers and actors when we are listening to worship music. I know your struggles are just as real as mine and it’s hard to keep our thoughts pure, but with God all things are possible! Have I not commanded you? Be strong and courageous. Do not be frightened, and do not be dismayed, for the LORD your God is with you wherever you go.” Joshua 1:9. Life moves along at a steady pace until you’re blind sided from an email, phone call, or a huge mess that you’re child managed to make. I was mindlessly singing words to a beautiful worship reminding me that Jesus is all that I need when I was caught completely off guard by an unexpected turn of events. I say mindlessly because my thoughts were not on God. I say mindlessly because my focus was on the pain. If I had been listening, I would have heard His voice, realizing He is all that I needed, He is enough for me and for that moment. We profess to be Christians, to love God, and love those who really aren’t that lovable; doing it all in honor of Him because He supposed enough for us. He is supposed to supply all that we need…Really? Do we really mean those words? My husband is getting ready to board a tiny puddle jumper corporate air plane. You know, the kind that end up in the headlines, where it crashes and there are no survivors. Can I smooch him with confidence knowing that Jesus is enough to get me through, that He is all that I need? My daughter struggles with all things Aspergers and next year I’ll be feeding her to the loin’s den called Middle School. Will Jesus be enough to help me guide her through the terrain of mean girls, gym teachers, and drama? My son has been struggling with being still, staying focused, on top of being bullied and left out by a group of boys. Has Jesus been ‘enough’, all that he and I both needed to get through the situation? Besides getting picked on, he has been under going evaluations to rule out sensory disorders and ADHD, the process has been on going since November of last year. As I sit back, realizing the full weight of the words I was mindlessly singing, was Jesus enough for me? Did I allow him to be my breath of life in these last few months where I haven’t been able to breathe? These moments have only been a snap shot of my life journey lately, and apparently life will be filled with more twists and turns. The only way to settle my heart is to make a decision once and for all. No matter what life throws at me is: say it, declare it, focus on it, and stand on it. I don’t know how I did it, but I managed to double book my kids to be in two different places at the same time! My husband loves to tell friends that if my head wasn’t attached, I’d lose it too. So I’ve decided to take organization to a whole new level…eye level in my kitchen to be exact. I’m a fan of DIY projects and making my house a bit more homey and unique! 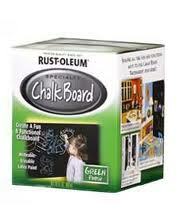 This is your first clue, CHALK BOARD PAINT! And Here’s your second clue! In one weekend, I reorganized our family schedule. At a glance, I can look at my wall and know who needs to be where, what time, and if they need to bring anything. Secondly, my husband can now on the same page with me! Because I love the results of painting magnetic paint and chalkboard paint on my wall, I also painted my pantry door and have my menu on the top. The bottom I leave open for the kids to get creative when I’m busy in the kitchen. This is a simple, easy, affordable and fun DIY to get organized. Here’s my kitchen wall. I used a yard stick to pencil a rectangle on my wall. Following the instructions, I painted the Magnetic paint on first. It’s not as thick as paint, so keep a rag handy for runs. 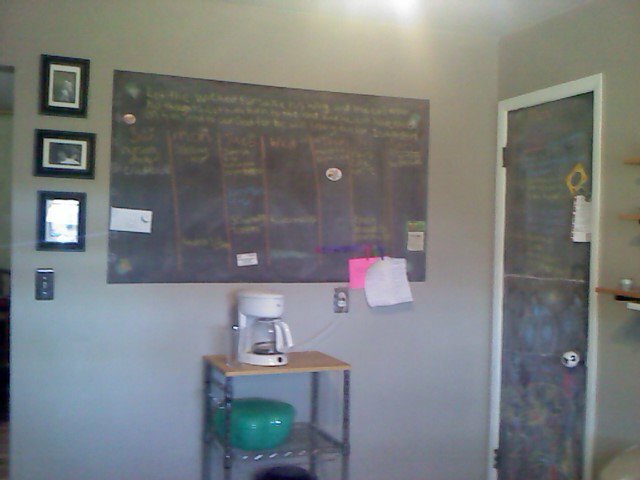 After the magnetic paint dried, I added the Chalk Board paint. It needs three coats with at least two hours drying time in between. My completed project. I have my schedule posted as Monday-Sunday and add appointments as needed. 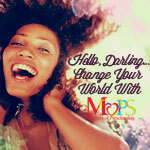 Need some more creative images to help plan your DIY Schedule? 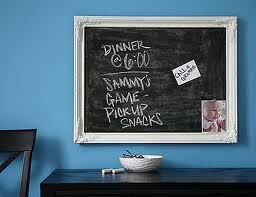 Take a look at the photos I pulled from Google for Chalkboard and Magnetic Paint! Look for a large area on your wall, living room, kitchen, office room. Use a yard stick and lightly pencil in the area you want to paint. After you’ve figured out the size of the area you want to use, clean the wall to be painted. 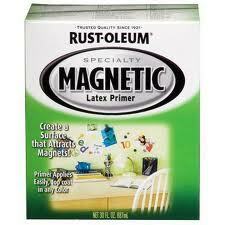 Begin with the magnetic paint and follow the instructions on the back. 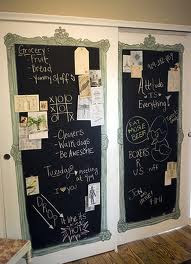 Once the three different coats have completely dried, begin adding the chalk board paint. This too will need three different coats with at least two hours of dry time in between applications. 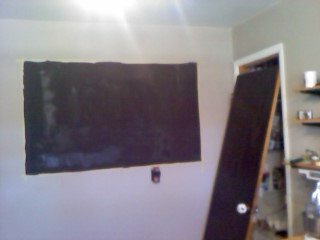 Once the last coat of chalkboard paint has dried, the area needs to ‘cure’ for three days, per instructions of the paint. 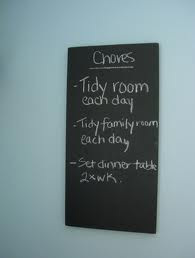 When the paint has cured, rub a thick coat of chalk all over the board and then wipe it down. Now you’re ready to add your schedule, to-do list, and even your menu! On NTV, I brought in an example of what you can do with a large piece of ply board. Find the size that you want, paint it according to the above instructions and then you will have a picture frame schedule that can be moved anywhere in the house! The truth is, there are very few women, I’m willing to open myself up to, and sobegins the manners of being polite and asking, “How are you?” As theytell me about their burdens, I struggle to be present and not check out and Ifind myself retreating to the inner depths of my soul, discovering that I amalready over capacity. My own cup is already full of burdens; stresses of finances, weary of my so-called ‘God’s Call to Write’, concerned with what our future holds in this very town, worried about behaviors my son is presenting, and pushing myself to be ever present for my oldest child in her turbulent teens, combined with Aspergers; but I choose not to talk about it. Very few friends really want to listen and even then, their circumstances are weigh heavily on their minds. It’s not that they aren’t good listeners, it’s because I know they don’t have what I need. Weary laden, I drive home, already mentally checking out. In the quiet of my home, I hear Him speak to me, those three same words, we use out of politeness; so I respond knowingthat God isn’t overly burdened and weighed down. “And surely I am with you always, to the very end of the age.” Mathew 28:20b (NIV). “Your soul will find rest in Me alone. I am your salvation. I am your Rock, your fortress, you will not be shaken.” Psalm 62:1-2. (paraphrased, NIV). As I pour out, He pours in. I realize that being quiet inHis presence is almost a lost art that needs a revival. When we quiet ourselvesbefore Him, He is able to completely fill us in exchange for what is weighingus down. He uses His presence, and His Word to breath life into us, and we need so very much more than we realize. Being a mother and woman of God can sometimes weigh us down so deeply with concerns, crisis, worries, needs of our children, demands from others, and expectations of organizations. Without quieting ourselves before God, we become so full, and yet so very empty. Our souls were created for the ebb and flow of pouring ourselves out before Him, as He pours life back into us. He touchesour hearts, just enough for each day. Just enough that we long to come back to Him for more. Just enough to recreate a bond that can overcome anyfeeling, any burden. Just enough to teach us the depth of friendship with Him.